Any divorce case can be complicated and an emotionally stressful time for all parties involved. However, when it involves a high net worth divorce, the process can become even more convoluted and time consuming. When there is so much at stake in a high net worth divorce, it is vital that both parties have the legal guidance and support of a skilled and experienced Massachusetts high net worth divorce attorney. The sheer amount of assets, funds, and property that may need to be accounted for and divided requires the specialized attention that only an attorney with Massachusetts high net worth divorce experience may be able to handle. If one party earned considerably less or was a stay-at-home parent while the other party was the primary high wage earner, it may even be possible that one spouse is not even fully aware of the true amount of assets, funds, or property. This makes the need for an attorney who handles high net worth divorces even greater. In order to protect your rights and help you get what may be rightfully yours, Attorney Malonis will ensure all assets, division of property, and funds are accounted for and the fairest and most equitable settlement possible is attained. Typically during a high net worth divorce, the services of a forensic accountant are recommended. This can help both parties feel secure in the fact that everything considered marital property is openly revealed and assessed. This can include the value of overseas accounts. 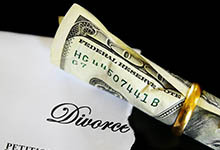 Prenuptial agreements can also factor into high net worth divorces. Having a Massachusetts divorce lawyer with expert negotiating skills can hugely impact the settlement garnered during a high net worth divorce even when a prenuptial agreement or post nuptial agreement is in place. A high net worth divorce simply entails more investigative time and aggressive negotiations to ensure a fair settlement that everyone will find beneficial. Without legal representation experienced in the vast amount of work and dedication needed to resolve a high net worth divorce, you could be giving up what is rightfully yours or settling for far less than you deserve. With the law firm of George C. Malonis in your corner, your rights will be protected as will your finances and assets today and in the future. To speak directly with a high net worth attorney – Call 978-453-4500.